← Can You Trust Your Browser With Your Passwords? Nikon is following Polaroid’s lead with a new pocket camera loaded with Google’s Android mobile OS, giving you a high-powered pocket camera with smartphone-like capabilities, minus the phone. 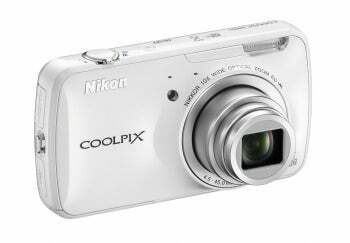 Unlike Polaroid, which has yet to release the SC1630 point-and-shoot camera since its January unveiling, Nikon has set a release date for the 16-megapixel Wi-Fi-enabled Nikon Coolpix S800c. The new Nikon device works just like a normal pocket camera, but runs Android 2.3 Gingerbread with full access to Google Play. So when you’re not grabbing shots of last night’s adventures or your kid’s soccer game, you can play a round of Cut the Rope or read a Kindle e-book. The S800c doesn’t include smartphone functionality so you have to rely on a Wi-Fi connection to upload photos to Facebook or check your e-mail. The S800c features a 3.5-inch OLED touchscreen with 819,000-dot resolution, a similar monitor that Nikon has used on other cameras such as the S80. The new Nikon Android camera also has 10x optical zoom, GPS, 1080p video capture at 30 frames per second, around 1.7 GB onboard storage, SD and SDHC external storage support, 18 filter effects, HDMI Out (up to 1080i resolution), USB port, and Wi-Fi. The S800c weighs in at less than a half-pound (6.5 ounces) and has a 1.1-inch depth. Camera makers are scrambling to figure out the next great innovation for the traditional point-and-shoot as people turn more often to their smartphone for quick snaps instead of using a dedicated camera. An IHS iSuppli report in March said that smartphones and tablets are expected to be the dominant way people capture photo and video by 2015, rendering the digital camera nearly irrelevant. Both Nikon and Polaroid are trying to fend off that seemingly inevitable demise by integrating Android functionality into a regular camera. Others, such as FujiFilm with its FinePix F800 EXR, are creating cameras that integrate with smartphones and tablets for seamless digital image transfer. Currently, a high-end point-and-shoot camera can offer higher-quality images than most smartphones. But that quality gap is disappearing quickly thanks to phones such as the iPhone 4S and Samsung Galaxy devices. Nokia is also working hard to compete with digital camera quality with the Symbian-based Nokia 808 PureView that features a 41 MP sensor. U.S. PureView fans will have to pony up about $600 to buy an unlocked version of the device on Amazon. But a report in March said that Nokia also planned to bring PureView technology to Windows Phone devices in the coming months. With smartphone image quality steadily improving, it’s not clear if dedicated cameras, beyond professional and “prosumer” DSLRs, will be able to survive. Nikon’s new S800c will be available in September for a suggested retail price of $350.